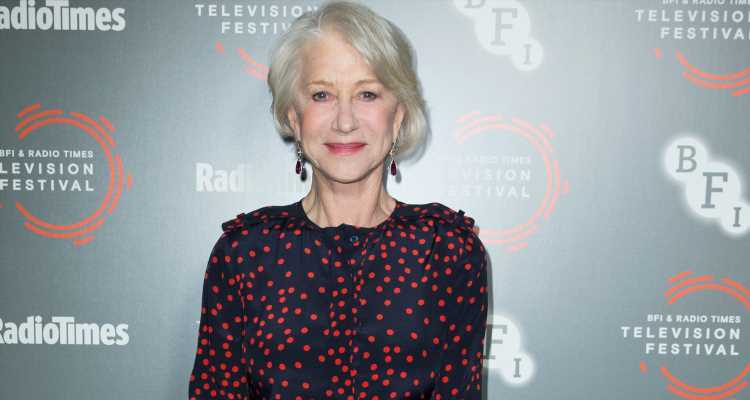 Home » Celebrities » Helen Mirren Brings ‘Catherine the Great’ To BFI & Radio Times TV Festival! Helen Mirren Brings ‘Catherine the Great’ To BFI & Radio Times TV Festival! Helen Mirren happily strikes a pose while attending the 2019 BFI & Radio Times Television Festival held at the BFI Southbank on Sunday (April 14) in London, England. The 73-year-old Oscar-winner made sure to take pictures with costumes from her upcoming HBO and Sky Original drama, Catherine the Great. Helen will play the 18th century Russian monarch in a four-part project written by Nigel Williams and directed by Philip Martin, who also directed The Crown and Prime Suspect. The miniseries will follow Catherine’s life at the end of her reign, as well as her affair with Grigory Potemkin.